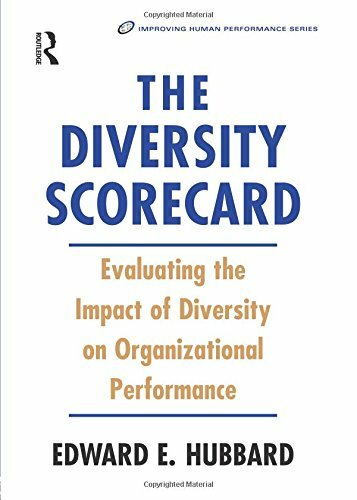 'The Diversity Scorecard' is designed to provide step-by-step instructions, worksheets and examples to help diversity executives and managers analyze and track the impact of their diversity initiatives to mobilize the organization for strategic culture change. Diversity is not a program; it is a systemic process of organizational change that requires measurement for organizational improvement and success. Measuring the progress and results of diversity initiatives is a key strategic requirement to demonstrate its contribution to organizational performance. Diversity executives, professionals and managers know they must begin to show how diversity is linked to the bottom-line in hard numbers or they will have difficulty maintaining funds, gaining support, and obtaining resources to generate progress. Many organizations collect some type of diversity-related data today, even if it focuses only on Affirmative Action statistics. "The Diversity Scorecard" focuses on tools and techniques to make sure diversity professionals are collecting and measuring the right type of data that will help ensure the organization"s success both now and in the future. This book helps the reader spend some time thinking about what they currently measure and adding new measures to a database to track progress towards their diversity vision. The basic premises of this book are that it is important to develop measures that focus on the past, present, and future; and that measures need to consider the needs of the organization"s diverse workforce, its work climate, diverse customers, the community, and shareholders. Part I of "The Diversity Scorecard" identifies the need for diversity measurement highlighting a business case for diversity and providing an introduction to diversity measurement. Part II of the book outlines the diversity return on investment (DROI) process taking you through step-by-step processes and techniques. Part III teaches you how to use measures in six key categories - Diversity Leadership Commitment, Workforce Profile Representation, Workplace Climate, Learning & Growth, Diverse Customer / Community Partnerships, and Financial Impact - to build a diversity scorecard that is aligned and linked with the business strategy of the organization. Finally, in Part IV, Dr. Hubbard discusses implementation issues involving strategic change procedures and techniques to avoid the pitfalls inherent in a diversity-based cultural transition process.